Most businesses have the need for transcription at some point and many will require transcription services on an almost daily basis. While it is possible to carry out transcription in-house, it takes a lot of time and the wage bills for this work will be high. Because of this, many companies outsource their transcription needs. If you are considering doing the same, you may have heard some of the following myths regarding transcription services. Here we take a look at the truth behind these false ideas, and discuss how outsourcing transcription can be a benefit in a corporate setting. 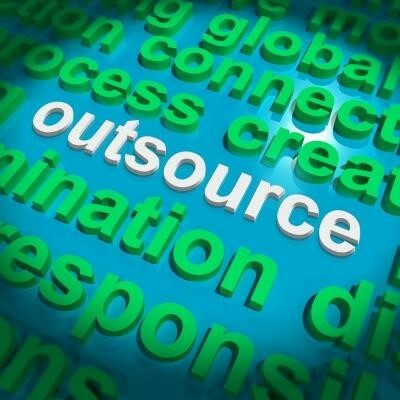 Some people will look at the cost of outsourcing transcription to one of the transcription services UK firms offer and immediately think it is more expensive than doing it in-house. But it’s necessary to dig a little deeper into the cost comparison because the cost of keeping transcription services within the company is largely hidden. When you do this, you need to pay wages for a skilled transcriber – transcription is not something that you can give to anybody to carry out – and you will need to pay for training, software, equipment, overtime, and all the other costs associated with employing an experienced transcriber to fulfill a specialist role. You actually end up saving money when you outsource transcription since you are only paying for the service as and when required. You don’t have any unexpected costs. Another misconception is that transcription is a secretarial task that can therefore be undertaken by a secretary or admin professional. While some of these people may be adept at transcription, many will not be, as it requires a specific skillset which often requires years to develop. When you outsource transcription tasks you can be sure you are getting skilled staff who will work on each project. You don’t have to worry about inaccuracies. Plus, you don’t have to worry about making a member of staff complete a task that they do not have time for or cannot do accurately or sufficiently well. Some people are worried about the turnaround time on outsourcing transcription, since the task is leaving the office and is in the hands of someone else. But when you find a professional and efficient transcription company you can ensure that you get the best turnaround times on work assigned. You can expect to have items delivered as you set them, in the format you require. There is no chasing to do, and no stress over whether someone will have time to complete the work when you need it.